I love a bit of nail art me, it doesn't have to be complicated or technically difficult to achieve in order to look great either. 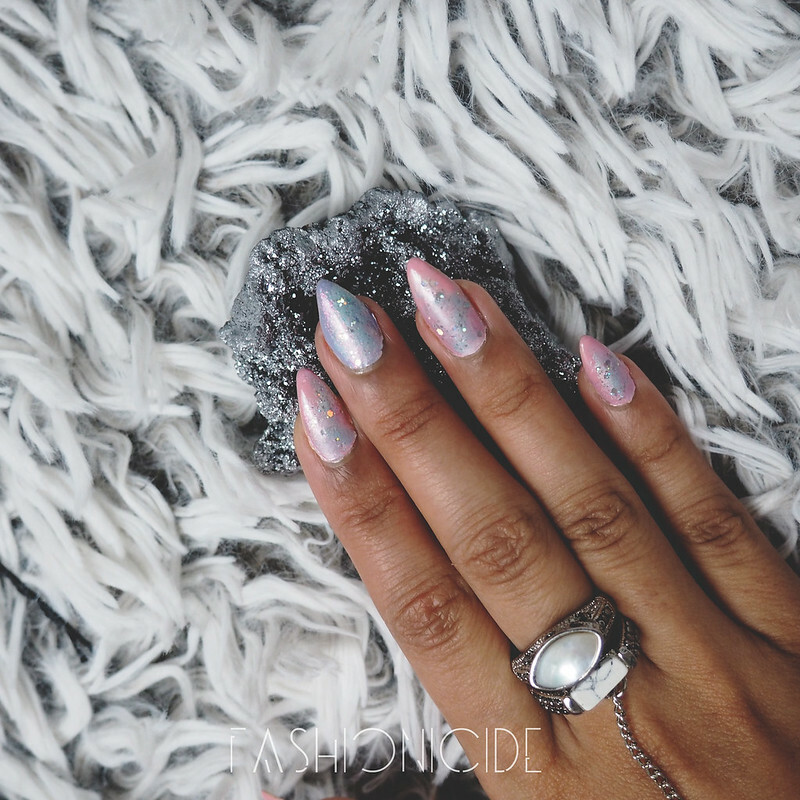 I'm definitely a sponging kinda gal when it comes to nail art, I'm becoming quite the expert now when it comes to the Ombre and Galaxy nail looks, after plenty of practice, no less. I guess you could call this V3.0 of Lima's Galaxy Nails, very much an evolution on the two previous Galaxy Nail looks I've featured in the past. The first (HERE) was much more the 'traditional' galaxy, with a deep, dark blue background, some pink nebulae and sparkling silver glitter stars. The second version (HERE) was more 'The Galaxy According to My Little Pony' in that it featured pretty much every bright pastelly colour in the pastel rainbow. For my third take on the galaxy, I've tried to make the colours much less stark and give the overall look a much lighter, airy, candyfloss look to it. I find that the finished article looks really cute, and when you use the technique that I do to create these looks, you can really adapt it to your current mood. At the moment I'm feeling Super Kawaii - I'm just too f**king excited about disappearing to the land of the rising sun in just a few short weeks! 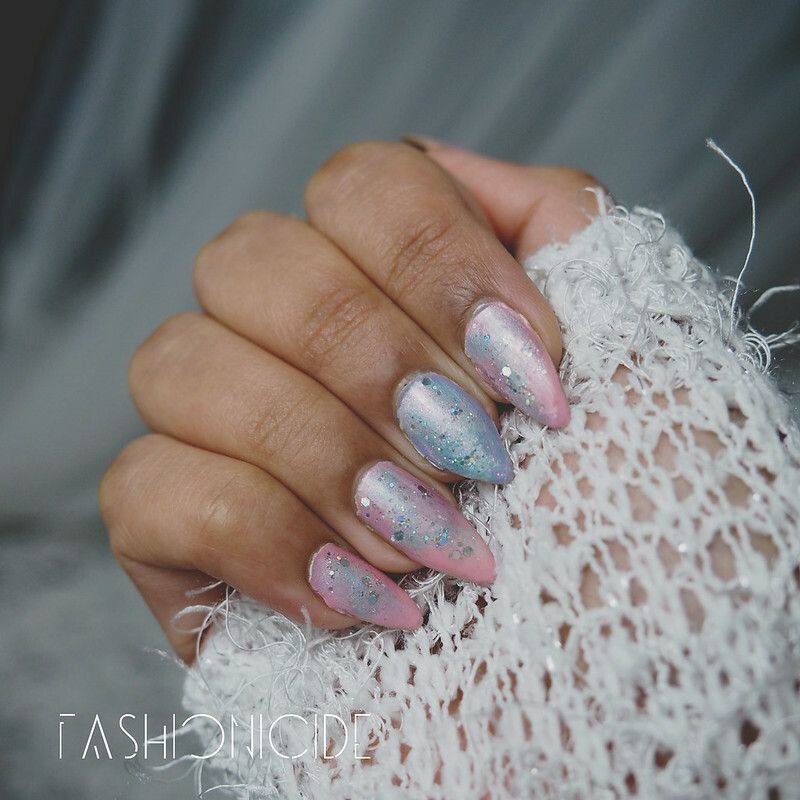 I'm not so sure that this look could actually be labelled Galaxy Nails to be honest, but I don't really care what it's called - I only care about how it looks on the actual nails, and I'm hooked on this combination! I was looking to create something soft and pretty, and sometimes Pastel colours can actually look a little sharp and acidic, so I deliberately picked out some kinder, floatier colours for both the base and for the sponging. I'm not going to bore you (or myself) by typing out a full 'how to' description on the technique I use to a achieve these looks, instead I'm just going to link you to this awesome video tutorial I used to learn (LINK!) Once you understand how the technique works, and it's really simple, you can then think about what colours you want to use to create your own look. The beauty of it is, that no two looks will ever be a 100% match, it'll always look unique! Also, I find that when I use this technique, the look lasts for around a week without chipping. BONUS! So that wraps up my Kawaii Nails look, if you want to get yourself in to Nail Art, I find that YouTube is the best place to start learning. Don't be afraid to try a few things out, I've had a few disastrous attempts of my own over the past few years but remember, The Mona Lisa wasn't Da Vinci's first painting either! Your nails look so beautiful. Love the colour. I am so envious! You don't even wanna see my nails, but now I'm wondering if any typical "nail place" can pull this off (or I might have to go downtown to get this done for a special occasion). This looks amazing. 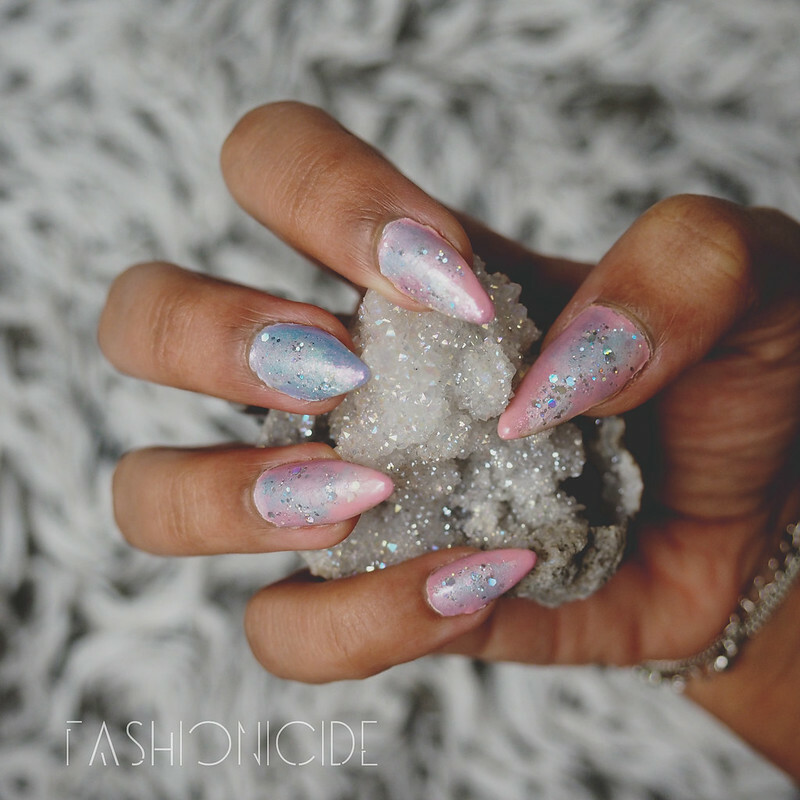 Calling it Galaxy Nails is very appropriate because it does reminds me of a galaxy, well a soft pastel galaxy and you did a freaking amazing job with the manicure! I salute you for being able to keep your nails that long and sharp, I would have poke my eyes out. LOL! Wow! Cool combo, and the end look is gorgeous!